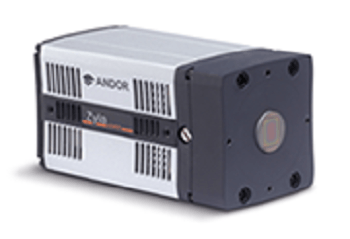 Andor are proud to offer their high performance sCMOS camera platform, designed for fluorescence microscopy, Sona. 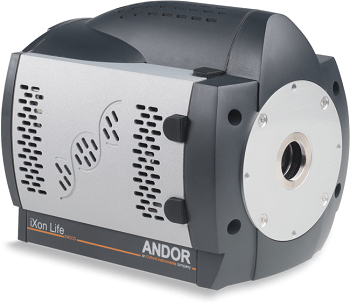 It debuts with Sona 4.2B-11 and Sona 2.0B-11, and both models feature 95% Quantum Efficiency (QE) and a market leading vacuum system that can cool down to -45 °C. 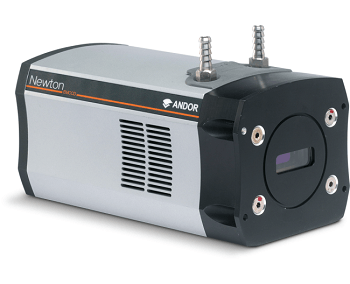 Andor have continually proven themselves as experts in producing sCMOS systems with the ultimate in sensitivity, which allows signal to noise optimization in fluorescence microscopy under conditions of reduced excitation power, ensuring living cells are preserved during extended measurement. 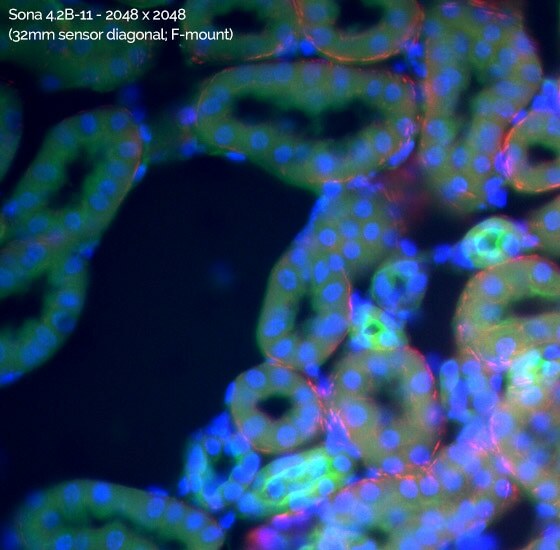 The Sona’s superior sensitivity also compliments reduction of fluorophore concentrations, thus minimally perturbing the cell’s physiology. 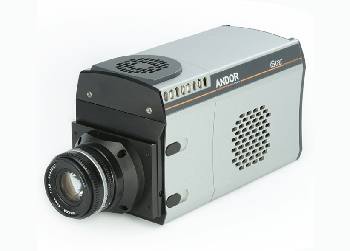 A higher sensitivity camera means shorter exposure times, and therefore faster frame rate measurements of dynamic processes such as intracellular signaling mechanisms or cell motility. 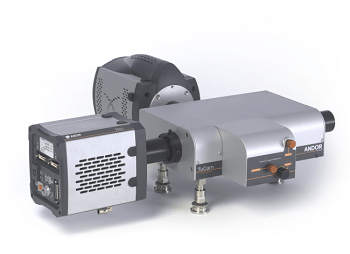 The extended dynamic range uses the ‘dual-amplifier’ approach, making it ideal for accurately imaging and quantifying challenging samples such as neurons. 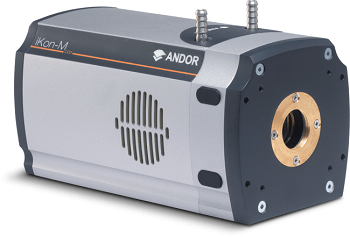 Still striving to improve in any area they can, Andor have achieved best-in-class quantification accuracy, through implementation of enhanced on-head intelligence to deliver market-leading linearity of > 99.7% across the whole dynamic range. 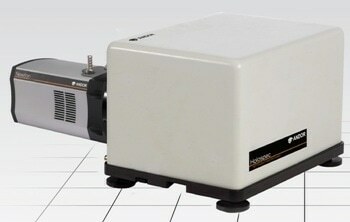 The 4.2 Megapixel Sona 4.2B-11 model is the flagship of this system. 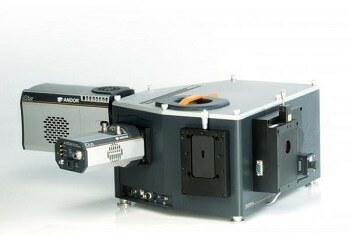 Using an innovative technological approach to access the entire 2048 x 2048 array, offering an impressive 32 mm sensor diagonal, it harnesses the entire field of view available from the microscope. 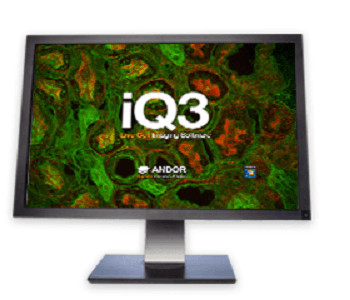 This is particularly useful for applications where the maximum information is required of the image, such as large fields of cells, whole embryos or tissue samples. 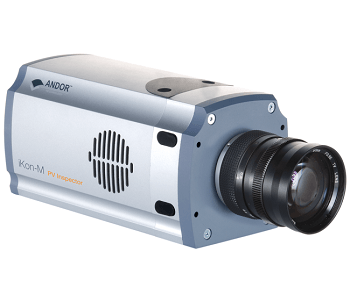 When taken with the entire field of view, these images can be captured with absolute clarity. 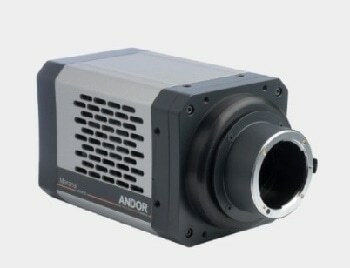 Sona 4.2B-11 with 2048 x 2048 array has an expansion of 62 % of its field of view over a similar back-illuminated sCMOS camera with a 1608 x 1608 array. 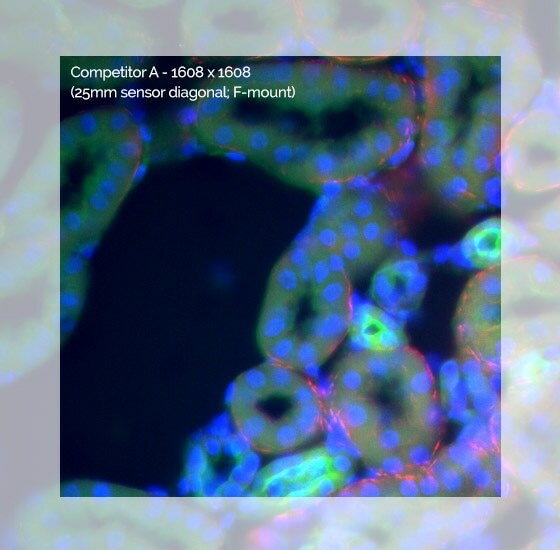 Images are captured with a Nikon Ti2 microscope with 60x objective and integrated 1.5x tube lens, accessing the full 2048 x 2048 array while preserving Nyquist resolving clarity. 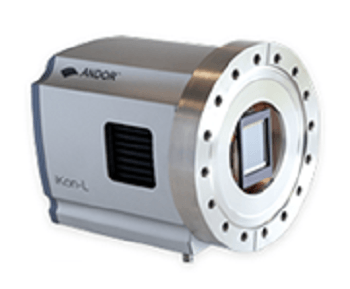 Additionally, the Andor Magnifying Coupler Unit (MCU) is also capable of additional magnification across a wide range of microscope ports. 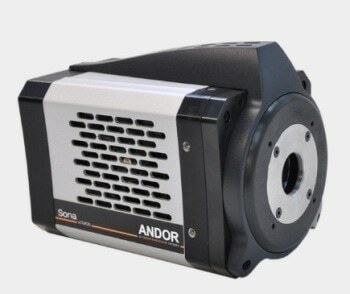 Sona 4.2B-11 (4.2 Megapixel) comes pre-installed with an F-mount attachment, but to really expand its capabilities Andor provide the option of a C-mount coupling that can easily be swapped by the user, usable with ROI sizes up to 1400 x 1400 (2 Megapixel). 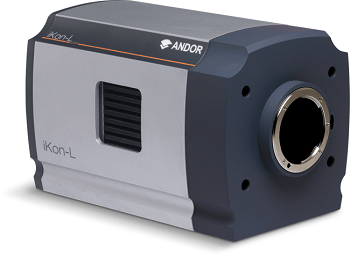 The Sona 2.0B-11 (2 Megapixel) comes with the C-mount and can interface with various microscope C-mount port diameters, up to 22 mm. 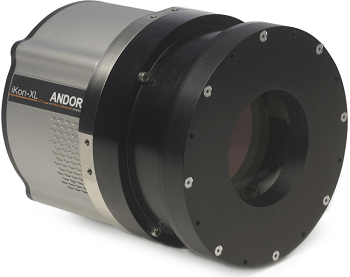 This model is suited to modern 22 mm C-mount ports due to its 1400 x 1400 full array size which maximizes the field of view available through this common mount type. 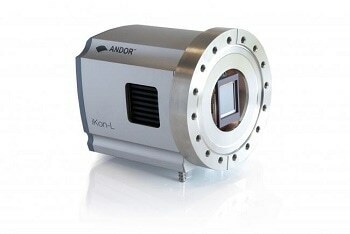 Other preconfigured, centrally positioned ROIs may be installed, directly relating to various smaller microscope port sizes. 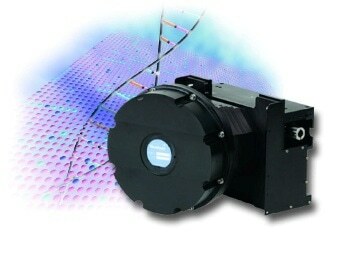 Sona is the only vacuum back-illuminated sCMOS platform. 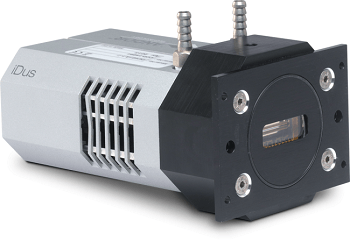 There are several features of the vacuum that put it a step above of other systems, such as superior minimization of the noise floor, and the benefits it brings to performance longevity. 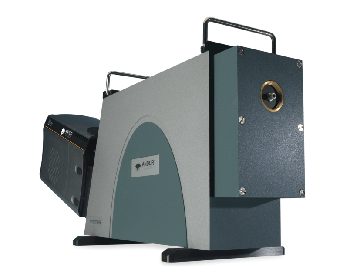 This is due to the protection it affords to the back-illuminated silicon sensors, which are susceptible to attack from moisture, hydrocarbons and other gas contaminants. 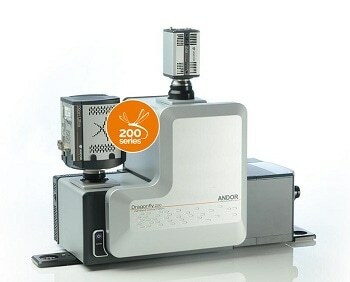 This results in a steady reduction in performance, including QE decline. 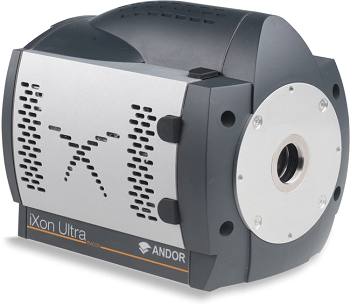 The proprietary UltraVacTM process developed by Andor uses a hermetic vacuum seal, eliminating ingress by gas and moisture from the outside environment, avoiding moisture condensation on the sensor and the need to return to the factory for repair.